It’s been a year since I began investing in the peer to peer lending platform Lending Loop. I was anticipating a return of 8% when I first wrote about it. However things turned out better than I expected. 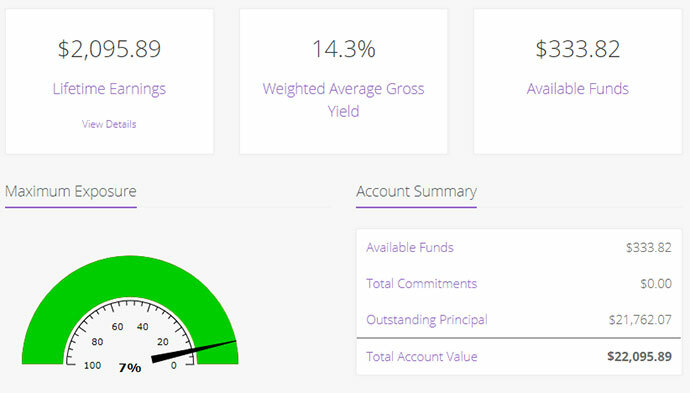 I started the year with $20,000 and have earned just over $2,000 in interest now. So my year to date return is currently about 10%. I’m really happy with that! 🙂 Here’s a recent snapshot of my account. Here’s what my account looked like back in June. I currently hold about 40 different loans. I usually commit about $500 to $1,000 per new loan. Each company has a different credit rating based on its likelihood to pay back debt. The table below shows how Lending Loop categorizes the risk bands. I generally invest in the range between B and C rated loans. The interest rate I receive on the investment should be high, but I don’t want super risky loans with high rates of default. I do my research on a company before I invest so I do not automatically put money into every C+ loan that Lending Loop offers. I don’t have any A or A+ rated loans because the rates of return on those after fees are too low for me. The reason I was expecting only 8% annual return is because I had factored in loan defaults that would cut into my gross interest earnings. However, across my ~40 different loans not a single one has defaulted yet. 😀 Phew. Thank goodness for that. *Knocks on wood* But I’ve only been on this platform for 12 months. Most loans in my portfolio have a lifespan of 24 to 36 months. So as time goes on I should probably expect to see some defaults, but hopefully not a lot. 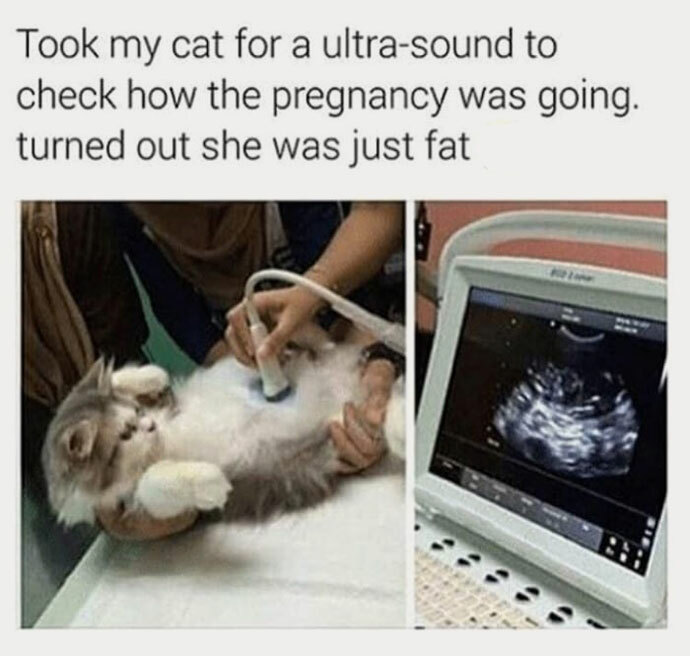 Ultrasound for a cat usually cost between $200 to $400. Can’t complain with those numbers. 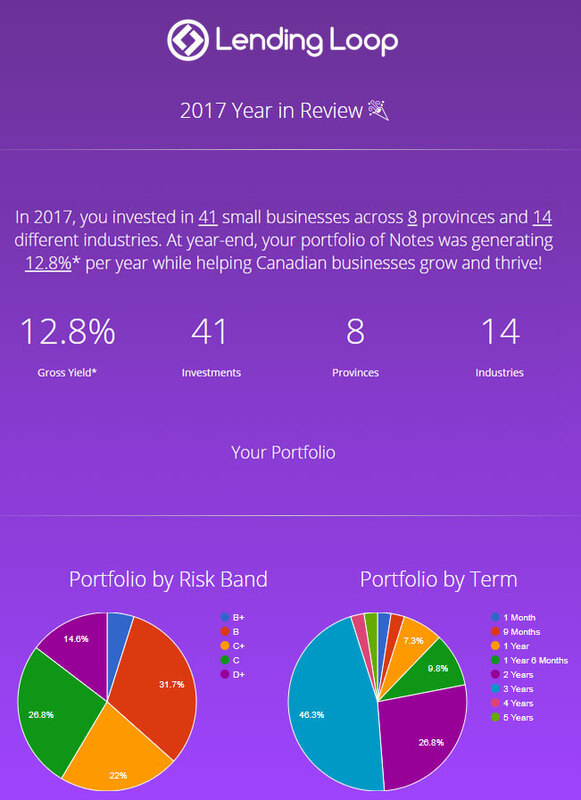 I’m also invested in lendinloop and my results were very similar to yours for the year. I invest a smaller amount in more loans. I’m invested in 70+ loans with only one loan currently in default. Looking at adding more to my account as well after a good first year. The economy in general is doing fairly well at this point in time. Obviously the default rates will soar when the economy slows or enters recession. Do you plan to time your exit according to the economic cycle or hold on and ride right through the ups and downs? You are probably correct to assume the default rates will climb if the economy stops growing. Since I’m still new to this type of asset class I don’t know how it will perform in a recession. I can’t find enough relevant data for it. But as a long term investor I plan to continue buying more loans on this platform throughout the ups and downs. But I may lean towards higher quality loans with lower interest rates if the economy slows down. If 2017 was an indication of a good year and I had zero defaults, and a bad year would theoretically result in a few defaults then over the long run I assume it will balance out so my returns are still worth the risk. This is a rather large assumption but it’s what I’m going with since there aren’t a lot of fixed income alternative options right now. I don’t think it’s really possible to exit this type of investment quickly. Your money is locked in for several years. Best you could do is stop re-lending money that gets paid back; reducing your exposure gradually. By the time we see a downturn it’ll be too late for your loans. This depends on the maturity rate of the loans Ross. Many have maturity rates in 12-24 months and several borrowers pay back early without penalty. Thanks Tom. Companies need money to grow and I’m glad that investors can be a part of the financing process. That’s a really good way to generate another stream of income. Well done. Yay. The advent of fintech has really changed the investment landscape in Canada. Looks like in the US and Canada the lending platforms are in a much better shape. In Finland, they are a total scam as majority of people only lose money because of high default rates. You could even experience a 33% default rate, 33% late payments and only 33% paid on time. This even with a highly diversified loan portfolio. Anyways I have still determined to try one platform out to see how it goes with a 1000€ irrespective of the fact that every person I have asked have told me that they only lost money in the platform. Uh oh. That’s not good at all. I wonder why the default rates are so different depending on the country. The closest benchmark I’ve found to P2P loans is high yield bonds in Canada which have similar default rates. But I haven’t done any research into foreign bonds. Hopefully the new platform you’re trying is better than the others. Irrespective of the borrower, these types of things are always inherently more risky than traditional fixed income investments. GL. Those are very good results but there are no tax benefits or tax shelter for interest income so the ROI that you are getting will be cut by 50-60% even more. The more more interest income you make the more tax. you are taxed at your marginal rate with this type of income stream. That’s no good, it makes it a poor investment choice. I agree that if you have maxed out all your registered options (e.g. TFSA, RRSP) then you should probably do something there first. However, if you have maxed those out then this is a reasonable thing to invest in. Hi there bud. So I’ve been thinking about joining lending club and testing it out. However, I want to understand how to handle the taxes first. You stated that you keep your portfolio in a “regular taxable account”. I’m guessing that means your tax payments get deducted automatically right? That is what I’m looking for. If you are referring to Lending Loop then no, tax payments do not get deducted. However, they do issue you a T5 which should make filing taxes pretty easy. When it comes to salary or wages generally income tax is deducted automatically (T4). But for investment incomes the taxes are usually paid come tax season (T3 or T5). But investment money earned from foreign countries may be subject to an automatic foreign withholding tax right away so it depends.